IZAR held its annual, Spain and Portugal, sales convention at the Ercilla Hotel in Bilbao on 2 and 3 February. In this context, its directors were able to analyse the historical results of the company in 2016 and the projects it has in portfolio for the future. 2016 has, in fact, been a year that has broken all the records for IZAR, with a turnover of over more than 26 million Euros, a growth that exceeds 10% for the second consecutive year. This growth, which consolidates the leadership on the domestic market of this manufacturer from Amorebieta, has also been underpinned by the systematic presence in more than 80 countries all over the world. In the top 3 of the international sales ranking, France, Germany and USA clearly stand out, but there is also a growing presence of countries such as China, Russia and others from North Africa. 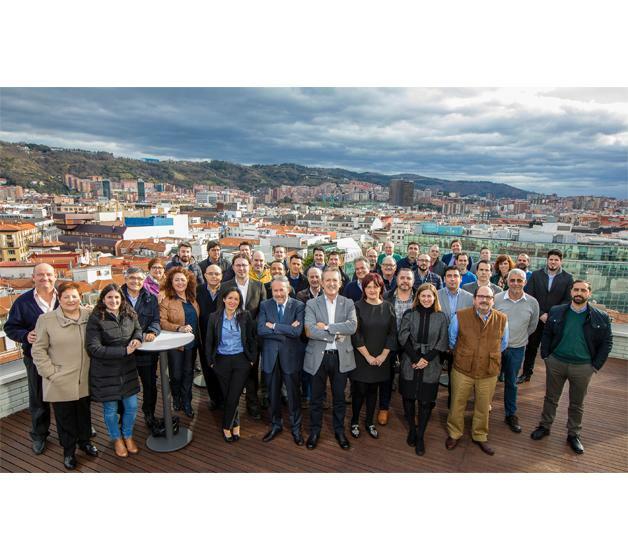 The growth of IZAR really stands out in a mature sector like cutting tools, and also in an environment of many uncertainties, but once again, customers have appreciated the Basque manufacturer’s unerring commitment to quality, service and innovation. Future projects, therefore, and more specifically for the 2017 – 2018 period, require the reinforcement of these attributes, as well as proximity to customers and flexibility. To be precise, the company has committed to new investments amounting to 1.5 million Euros in 2017, highlighting, due to its importance, its pledge to the development of an advanced manufacturing Industry 4.0, with virtual reality tools and big data, which will optimise its production processes. With respect to new product lines, the star of IZAR this year is going to be hard metal, with an in-depth renewal and extension of its range, both in bits and in mills, focused on improving the performance of the machining centres, offering the most adequate geometries for each application.